Dr. Jason Newell received his B.A. in Psychology from Auburn University and an M.S.W. and Ph.D. in Social Work from the University of Alabama. Dr. Newell is a licensed independent clinical social worker (LICSW) and a private individual practitioner (PIP) with an endorsement in clinical and social casework. Dr. Newell has been in the fields of social work practice, research, and education for over nineteen years. His research and specialty areas include clinical social work practice with the mentally ill; treatment of anxiety, trauma-related, and mood disorders; self-care and professional resilience, practice with veterans and military families, and child welfare. In 2008, he joined the social work faculty in the Department of Behavioral and Social Sciences at the University of Montevallo. Dr. Newell has taught introductory courses in social welfare, human behavior and the social environment, research methods, generalist social work practice, practice with individuals and families, and practice in mental health care settings. In 2013, he received the College of Arts and Sciences Outstanding Commitment to Teaching Award and in 2016 was awarded the Alabama-Mississippi Social Work Educator of the Year. 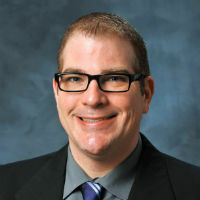 Dr. Newell has published his research in the Journal of Trauma Violence and Abuse, Best Practices in Mental Health, International Journal of Psychiatry in Clinical Practice, Journal of Workplace and Behavioral Health, Journal of Social Work Education, Journal of Baccalaureate Social Work, Journal of Teaching in Social Work, and Social Worker’s Desk Reference. In 2017, Columbia University Press published Dr. Newell’s textbook Cultivating Professional Resilience in Direct Practice: A Guide for Human Service Professionals. See Dr. Newell’s CV here.